Fire Dawgs Review Hale’s Homemade Salsa – I Love It Spicy! Our Fire Dawgs are back in action, and we have a new Fire Dawg we are introducing today, his name is Steven, and with his culinary background, we expect big things from him. Also, Miguel got a promotion to Chief, so he might not be available all the time for our reviews in the near future. Either way, we are happy for his new duty assignment and wish him the best. This is Hale’s Homemade “Holy Hale It’s Hot” version. 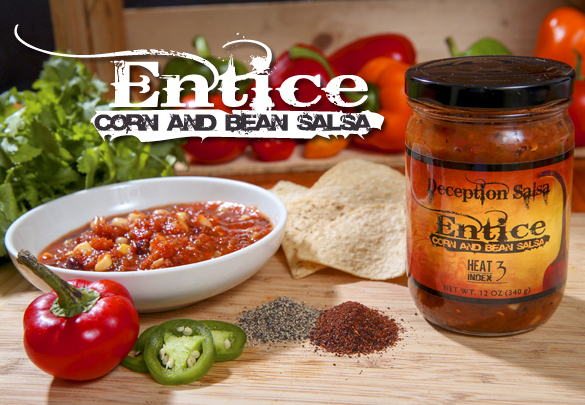 James and Angela Hale began making salsa in their Baltimore rowhome in 2006. Never finding a salsa they liked, they decided to make their own homemade salsa. After perfecting the recipe and sharing it with friends and family, the couple decided it was time to share it with the world! The Hales founded the company Hale’s Homemade in 2011. They are proud to offer Hale’s Homemade “Hale Yeah it’s MILD!” and “Holy Hale its HOT!” salsas, their first “babies” in the Hale’s Homemade family of products. The Hales hope to add other products to their line of all natural, preservative-free foods. I tried it, and it really has the makings of a good salsa flavor, just needs some tweaking. An increase in cilantro, garlic and onions would help a lot.